There was a time when American astronauts were the coolest dudes on the planet. And there was a time when most of them owned and drove the Chevrolet Corvette. Neil Armstrong--the first person to walk on the moon and who passed away August 25--was among these Corvette-owning space cadets. The car you see above, a 1967 Corvette Stingray, once belonged to Armstrong. 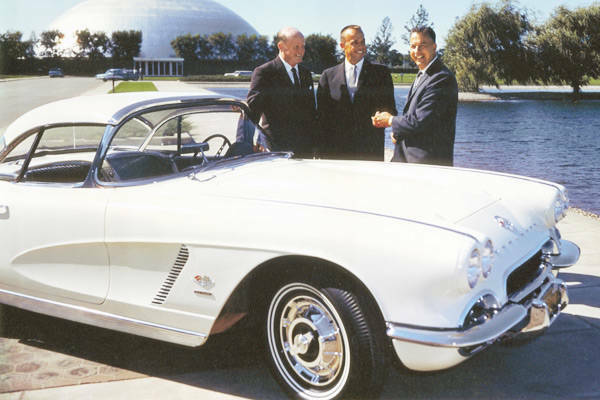 The close association between astronauts and the Corvette apparently began with Alan Shepard (pictured below, center, with GM design chief William Mitchell and Chevrolet general manager Edward N. Cole), who, on May 5th, 1961, became the first American to travel into space. Even before his legendary accomplishment, Shepard had been a passionate Corvette owner. Upon his return, he would receive a special gift from General Motors. According to GM: "Shortly after Shepard’s historic flight, then GM executive Edward N. Cole presented the astronaut with a new, white, 1962 Corvette. The car had been outfitted by GM designers with a customized space-age interior." 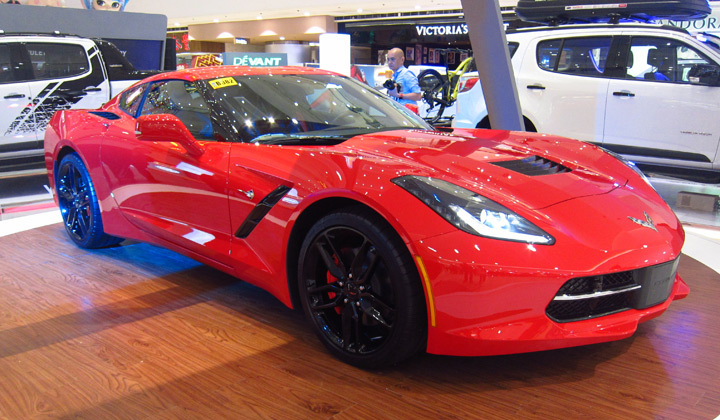 Story has it that Chevrolet dealer and 1960 Indianapolis 500 winner Jim Rathmann came up with the idea of leasing Corvettes to astronauts--long before marketing minds routinely made it a point to associate brands and products with celebrities. Six of the seven astronauts of Project Mercury--Shepard, Ivan Grissom, Malcolm Scott Carpenter, Walter Marty Schirra Jr., Leroy Gordon Cooper Jr., and Donald Kent Slayton--happily took Rathmann up on his offer. Only John Herschel Glenn Jr., a family man, picked a Chevy station wagon instead. The tradition would be carried on by succeeding astronauts. Apollo 12 crew members Charles Conrad Jr., Richard Francis Gordon Jr., and Alan LaVern Bean got identically equipped 390hp 427 Stingray coupes and had these "custom-finished in a special black-accented Riverside Gold color scheme. The trio even famously posed with their Corvettes for a picture that appeared in Life magazine (bottom photo). "In the 1960s, astronauts were the American heroes that every child idolized and every adult respected," said Corvette historian Jerry Burton. "That so many of them drove Corvettes really helped to establish Corvette as America's sports car."